Adding an Orangery to your Birmingham or Solihull home enables you to maintain and extend the style of your current home giving you a cost effective extra living space with a bit of opulence thrown in for good measure.Typically made with solid brick pillars and large glazed windows to capture the light, your new Orangery will help create a new stylish environment built with the same rigidity and longevity as your main home. Whilst the main structure of your orangery will normally be solid brick, you can choose from any number of uPVC frame designs and colours to compliment your home including the latest in glass technology to ensure the exciting new space you are about to use will be warm in the winter and cool in the summer, a perfect spot for you and your family to enjoy. All Waterside Orangeries are completed by our fully trained staff including all brickwork and interior finishes. So if you require a new sound system or some grandiose lighting to make your Orangery just a little more special, we have the expertise and skills to complete the installation from start to finish. 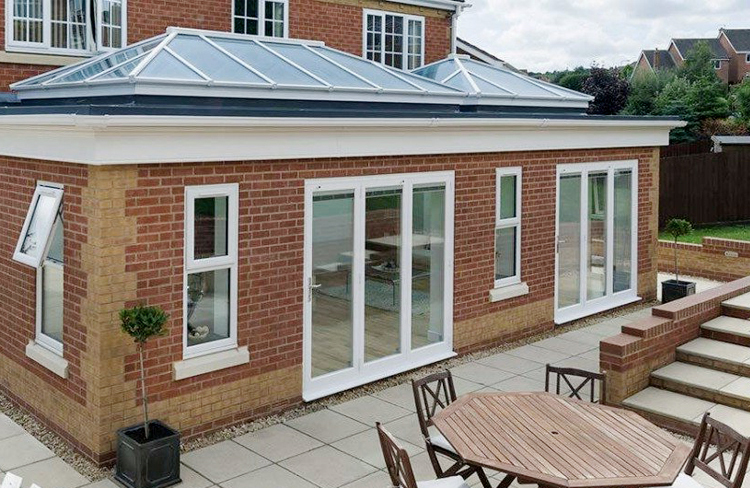 All uPVC products are manufactured to a high specification, offering the highest levels of security and thermal efficiency, ensuring the absolute in comfort, safety and security for you & your family within your Birmingham or Solihull home. If you require a brochure or general information about an Orangery or a friendly no obligation quotation for your planned home improvement in the Birmingham or Solihull area, please contact Waterside Windows on 0121 706 9633, email us at sales@waterside-windows.co.uk or use our ‘Online Enquiry Form‘. Market-leading Kömmerling Window & Door Profiles – Quality & Peace Of Mind! As a member of the Plastic Window Federation, you are supported by their Arbitration / Mediation Service. Waterside is a Birmingham based manufacturer and installer of A and C Rated Energy uPVC windows, doors and conservatories who have been servicing the Birmingham, Solihull and West Midlands areas since 1989. Waterside Windows are a member of the TrustMark scheme which is supported by Government, building industry and consumer protection groups, helping you find reliable, trustworthy tradesmen to make quality home improvements to your home – read more about the benefits of Trust Mark here. At Waterside we fabricate the Kömmerling window and door systems which is without doubt the most approved uPVC profile available in the UK today and a system that is also widely used within the commercial sectors including local authorities and education, aswell as domestic. If you have any questions or would like a free quote then please get in touch with us, we’d love to hear from you.